Summer BBQs are a great place to gather with friends and family, it’s a time to enjoy the sunshine and eat some of your favourite barbequed dishes! Now what if I told you we could help you get through BBQ season without piling on the winter pounds? Well look no further… We have the answers for you right here! Use this as your guide to a healthier and virtually fat free summer BBQ! Why not enjoy some barbequed veg it gives it great flavor… it’s so good it almost feels naughty! Throw some peppers, onions, cherry tomatoes and button mushrooms on the BBQ. You could even toss them in olive oil, salt & pepper for a real hint of flavor! Grill meats that don’t require a bun to eat – steak, shrimp, fish, and chicken breasts for example. All rich in flavor with no need for the extra carbs! Instead of having the usual cakes and ice cream, serve fresh summer fruit, most fruit will be gorgeous this time of year so don’t let it go to waste! You could even throw fruit on the grill with balsamic vinegar thrown over for a unusual but delicious summer-time treat. Watch out for those sticky hands though… wet wipes are a must for fruity BBQ times! 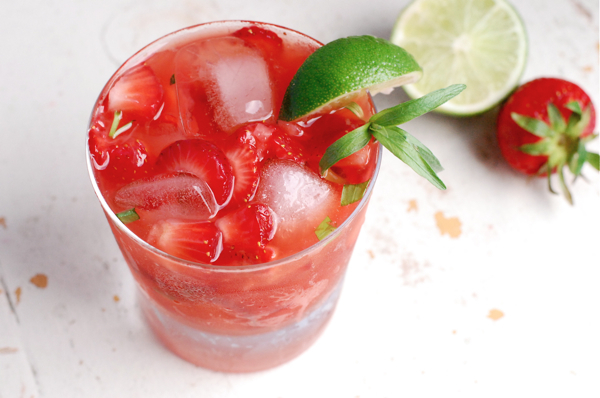 Instead of drinking beer, why not become a cocktail maker for the day and whip up fruity summer cocktails! Encourage guests to get involved making their own fruity concoctions, which will definitely beat the heat and cut the calories! Get shaking guys! Instead of using heavily salted sauces on your meat after it is cooked, use spice rubs or light marinades. This will reduce the need for added salt and create a gorgeous flavor! Be sure to wipe your hands after handling the spices, getting it in your eye will be very painful and is definitely not a good look! Your buffet is often the place where people spend time going back and forth to all day, so you need to make sure your buffet is relatively healthy… of course with the odd treat thrown in but we don’t want to be putting our guests in a ‘food coma’ now do we? Keep it light and fresh until the main event is ready from the grill – make it exciting with fresh and colorful ingredients, such as vegetables and hummus, and fresh watermelon slices. It is also essential to keep our hands clean if we are handling ‘finger foods’, leave a couple of packet of hand wipes around the table, and I’m sure your guests would be more than happy to give their hands a quick wipe! Keep Food Cool/Out of the Sun! On the topic of food, always remember to keep your food as cool as possible before serving it to your guests and keeping it away from the sun by placing it in an area that’s slightly more shady (perhaps under a big tree?). As well, some food don’t do very well such as meats, dairy, cut food like fresh fruit, salads and prepared foods. When you’re having a great time with all your guests and soaking up the sun, just always remember that your food will be doing the same and bacteria multiplies in hotter conditions. Summer BBQs are usually long warm days – beat the heat by staying hydrated, always make sure you pour yourself a glass of water on a regular basis, especially when drinking alcohol too! Do you have any BBQ tips to share? Great ideas and tips we've not had a bbq yet this year but hoping to very soon! My bbq tip is too make lots of nice side dishes! Let's hope we have enough good weather days for a BBQ! These are all awesome tips. We grill pretty much year round. Fantastic Tips. Thank you guys. Looks good can't wait to try them all. After everyone has loaded their plate with food, don't leave the remainder out in case someone wants seconds- leaving salads and other foods out in the heat can lead to Salmonella Poisoning, so put the extras in the fridge right away and let everyone know where you stashed it in case they want that second plateful. Can't wait for these summer meats! Thanks so much for the great tips! I'm looking forward to a fantastic summer! I don't know exactly what it is, but grilled veggies taste so good. Better than any other way to cook them. Topped with a shish kabob of fresh shrimp and chicken...Oh MY! Thanks for the tips. What are your favorite rubs to put on meats? All great tips! Love the kabobs! We usually leave all our fresh meat in the kitchen where people can choose what they would liked cooked, then it is taken outside to the barbeque and the rest is put back in the fridge for another meal. Saves on food waste and over eating! I love this post! Those kabobs look delicious!